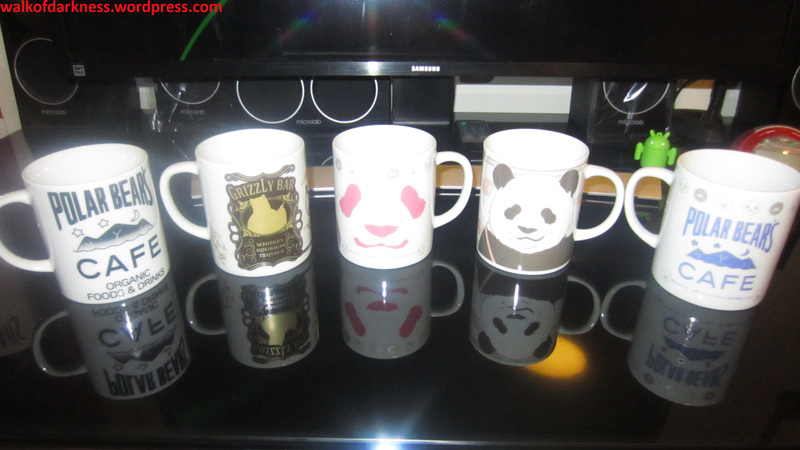 Just recently took pics of my Shirokuma Cafe collection (including all the merchandise I have for it), had been wanting to do this for a few months now even though I bought all these a few years ago. This series is probably my 3rd biggest collection after my Kara no Kyoukai and Shana collection. While it’s not as big as those two, I’m still pretty happy with it as it contains just about most of the merchandise I wanted to get. I guess it’s also pretty different to the other two given Shirokuma Cafe is a slice of life genre anime (and targeted towards a female demographic) compared to Kara no Kyoukai and Shakugan no Shana where they were more darker with supernatural fantasy, action and mystery themes (and both featuring sword-wielding heroines! :P). My discovery of this anime series was through my younger sister watching this a few years ago. I distinctly remember seeing the scene of Panda riding on the train sitting next to humans as he sang while swaying side to side that made me go “wtf?” and I started watching the series out of curiosity. 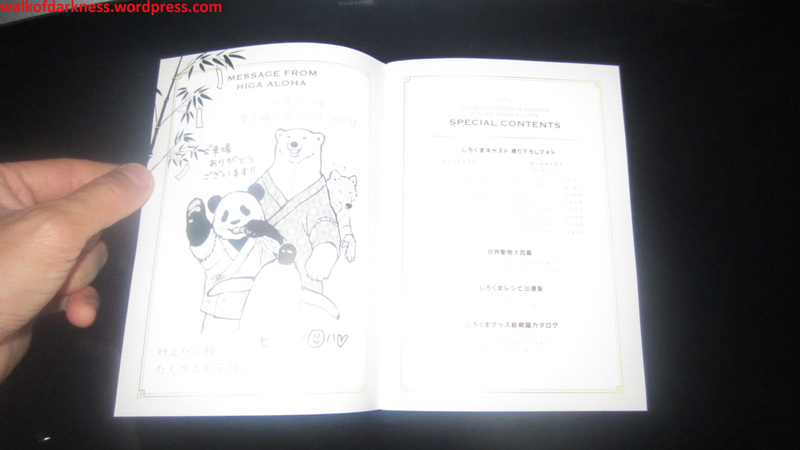 The idea of animals living alongside humans and having everyday jobs was what kept me hooked, plus the character bonds between Shirokuma, Panda, Grizzly and Penguin is just hilarious a lot of the times! 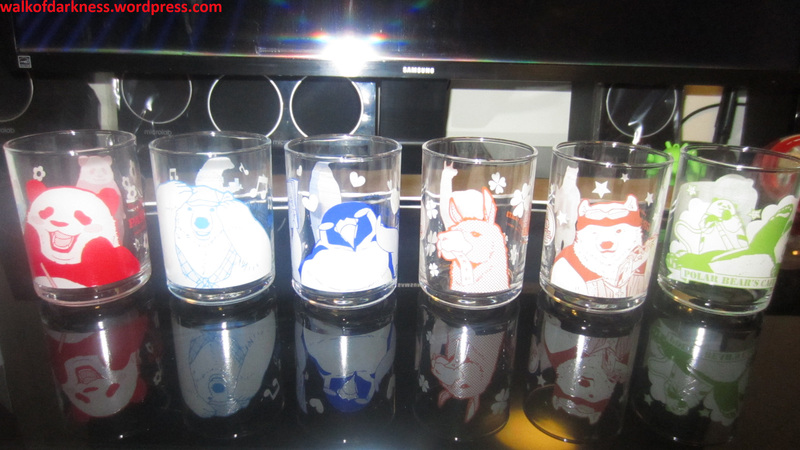 Even the supporting characters like Llama, Sasako, Handa, Panda-Mama are very quirky and likable. On top of that, the series contains a very catchy opening theme (1 of 3 for the entire series) titled “Boku ni Invitation” sung by JP. Seeing how I greatly enjoyed watching the anime, it was only natural that I would end up importing the blu-ray home video release for it. Strangely though, the blu-ray single volumes were originally only available to buy on Animate Japan from the initial release (why? I’m not sure), all the other retailers could only sell the DVD format single volumes at the time. 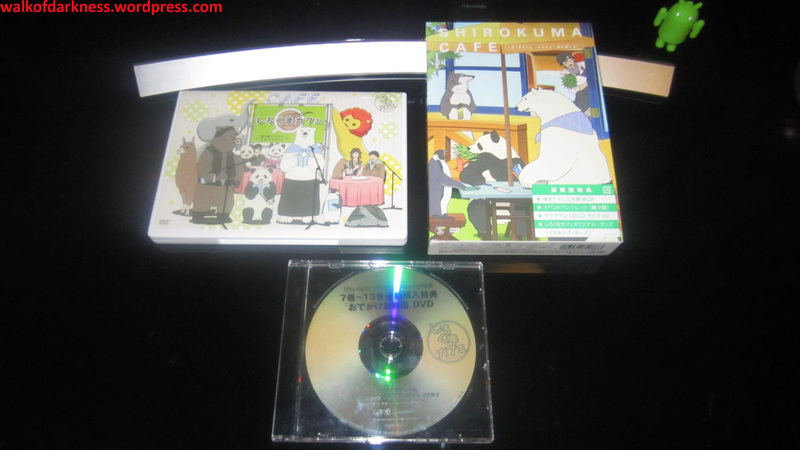 Animate Japan’s exclusive single volumes came with the Penguin’s Cafe drama CD series, which I’ve posted summaries of for some of them from the previous Shirokuma Cafe blu-ray import blog posts, as well as physical bonuses for each volume. I’m not surprised with some of them being items for women (like the nail filer and hair scrunchy) as the anime series’ demographic target were mainly for females like mentioned previously. 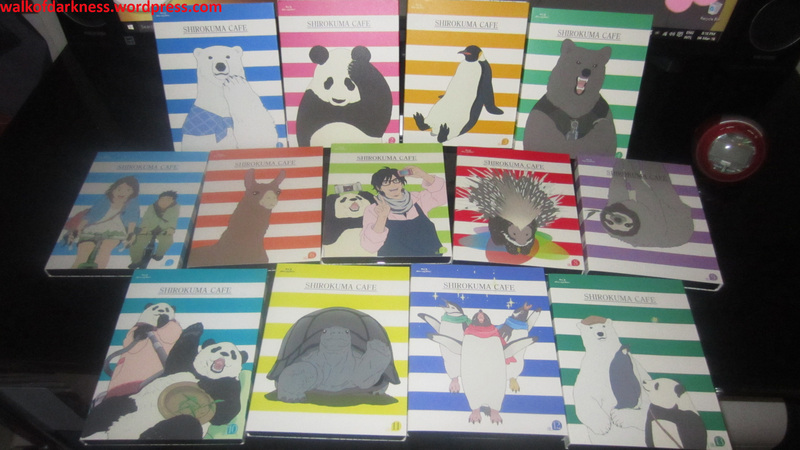 Each volume except for the last one (volume 13) contained 4 episodes while the final volume contained just 2 episodes, totalling to 50 episodes for the entire series. The series has been re-released on 2 blu-ray boxset collections in Japan about a year after the final volume was released (Box 1 Collection & Box 2 Collection), but I haven’t bothered to consider purchasing it or not, and no, they’re not English friendly as there are no English subs on these blu-rays (not that it really matters to me anyway :P). 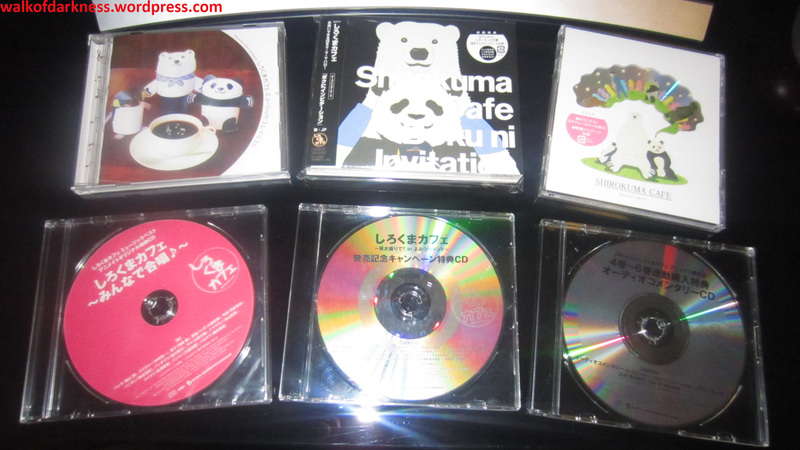 I also bought the two live event DVDs released for the series, “Shirokuma Cafe ~Sasaomoride!! 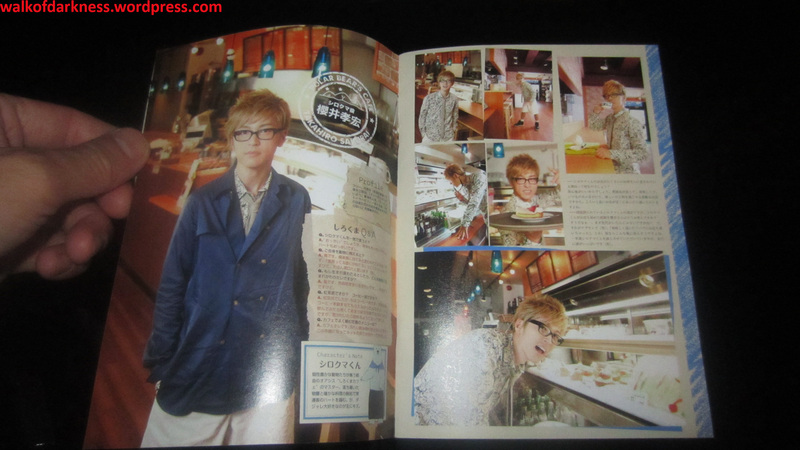 in Yomiuri Land~” & “Shirokuma Cafe ~Tanabatada yo! Sasa ni Onegai wo!~”. Wished they were in blu-ray format though but generally females in Japan who buy discs don’t really care about which particular format the shows are released in and are usually happy with DVD, and given the show’s target demographic, it makes sense for them to release it on just DVD and not bother with making a blu-ray version here. 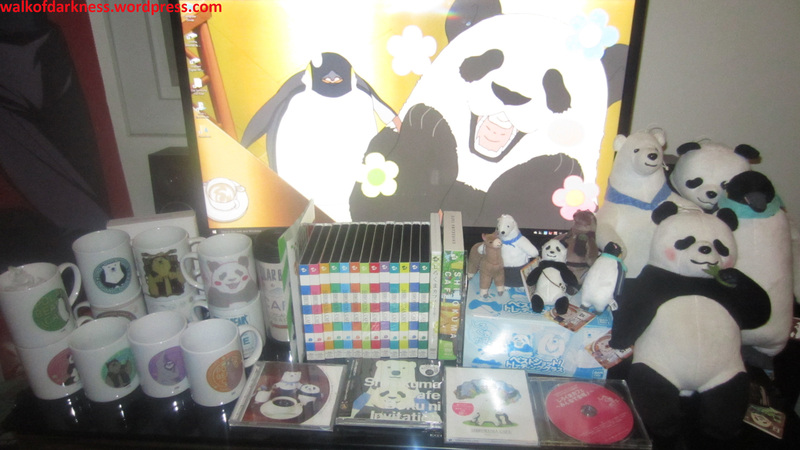 The DVD at the bottom was a bonus seiyuu zoo trip DVD, given out only to those who bought Animate Japan’s exclusive blu-ray single volume releases from volume 7-13. 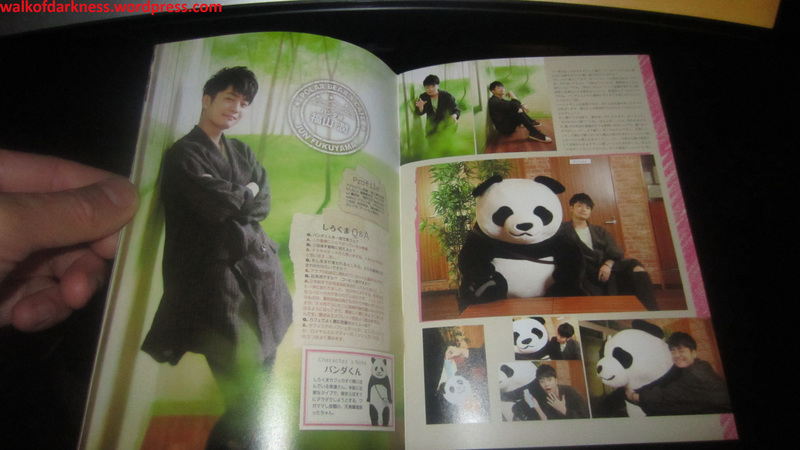 And because I didn’t get to make a blog post for the Shirokuma Cafe Tanabata Festival live event DVD during my blog hiatus in 2014 when I got it in, here are some more photos of it! The disc case is actually like a clamshell case for VHS tapes surprisingly. 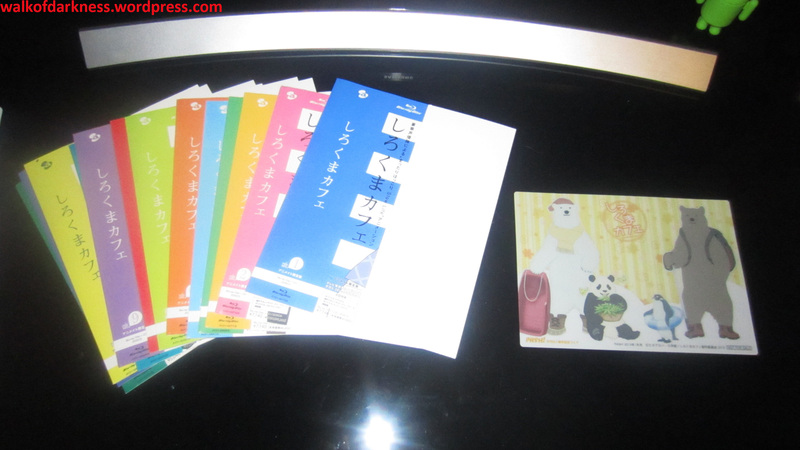 Contains 3 discs (2 DVDs & 1 CD), a 50 page event pamphlet, sign printed message card from Takahiro Sakurai, glossy artbox and 2 masking tape rolls (not pictured here but it’s in the physical bonus goods picture above for the Animate blu-ray volumes). 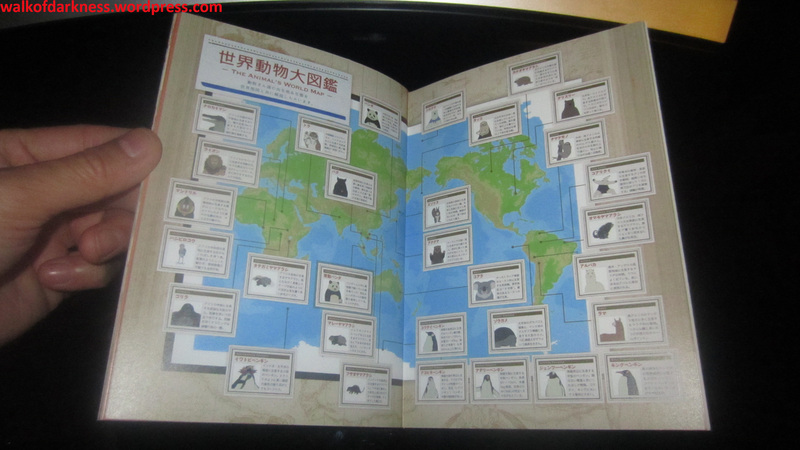 Also interesting is an “Animal’s World Map” feature in the event pamphlet helping readers know where each animals featured in the anime series originated from. 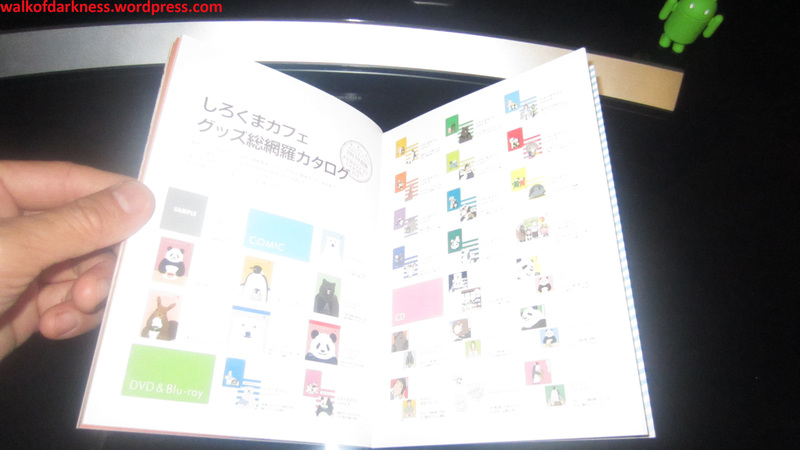 They also included a few pages detailing a catalogue of Shirokuma Cafe merchandise goods! My small CD collection for the series. I haven’t bought the first press limited edition CD singles for the other two opening themes for the series or the 15 ending themes (Yikes! ), but did get the first press limited edition CD of the “MUSIC BEST” collection which contained all of those as well as a DVD containing the 3 creditless opening and 15 ending animations. 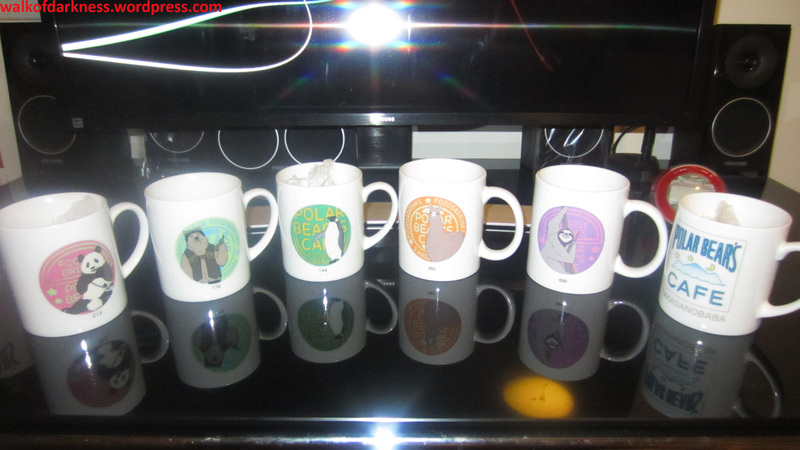 I did consider buying the original drama CD series that each features one of the animal characters as well as the radio DJCDs, but chose not to for the time being, might get them in the future though. 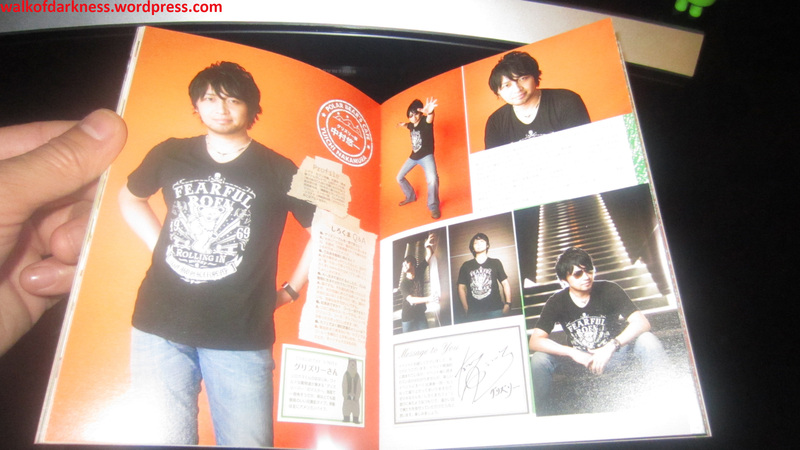 It’ll probably be pretty hard to find the first press editions for the original drama CDs now given how long it’s been since their release but hopefully I will be able to obtain them somehow. 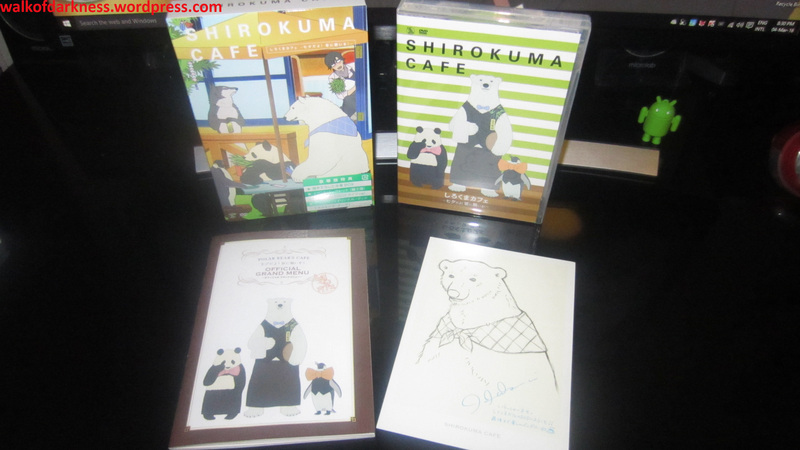 And more Shirokuma Cafe merch! 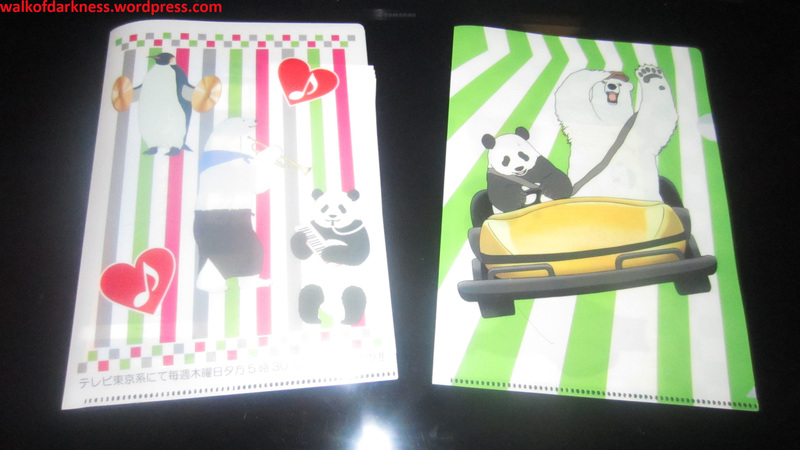 Two mini clearfiles I got as a store exclusive bonus from purchasing the OST and Tanabata Festival Live Event DVD. 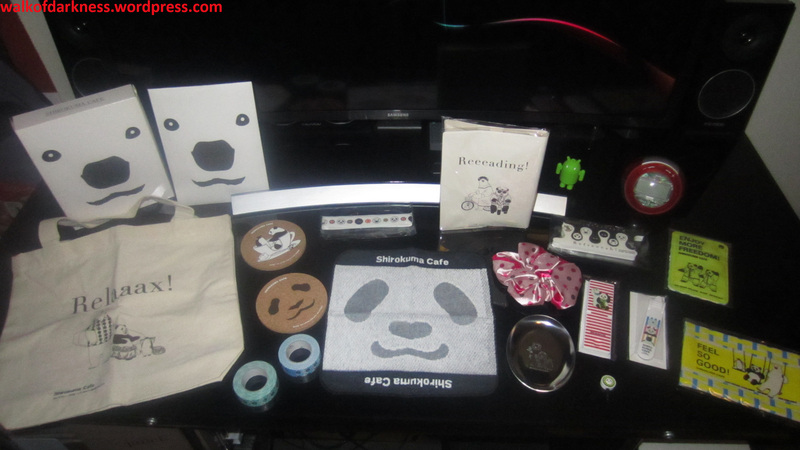 I actually use the one on the left to store all the obis from Animate’s exclusive blu-ray single volume releases while the one on the right stores a small clear card that was given out as a bonus on one of the Shirokuma Cafe goods above (can’t remember which one it was though). 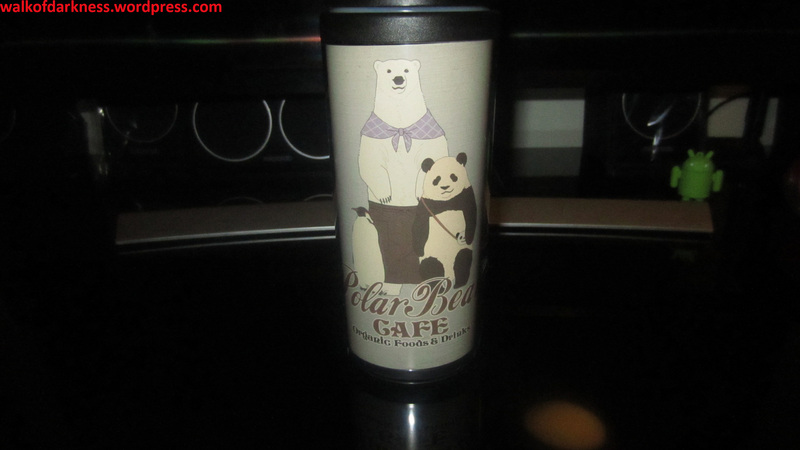 And to even more mug-related goods for the series, a Polar Bear’s Cafe tumbler! 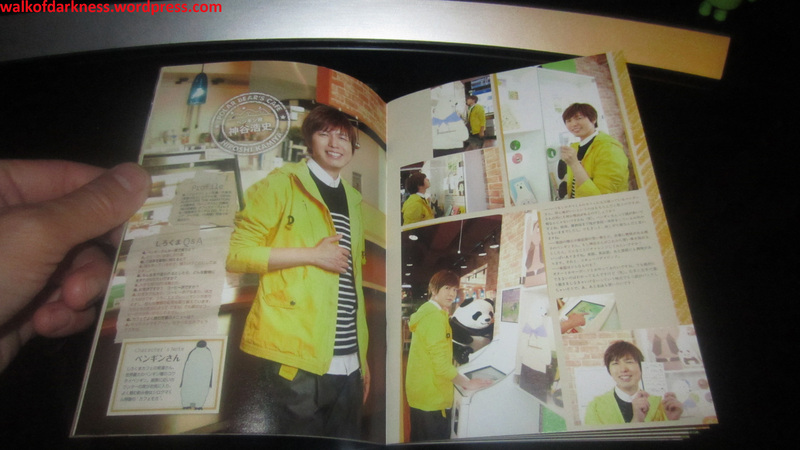 There have also been a number of Banpresto lucky dip/UFO catcher prizes made for Shirokuma Cafe in Japan. 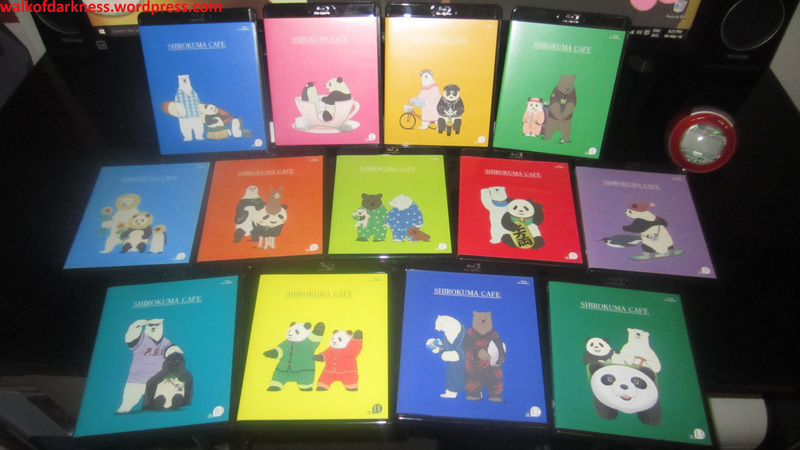 I’ve only bought a few of the early line-up releases, one of which is the first set of the small mascot plushie straps featuring Shirokuma, Panda, Llama, Penguin & Grizzly. 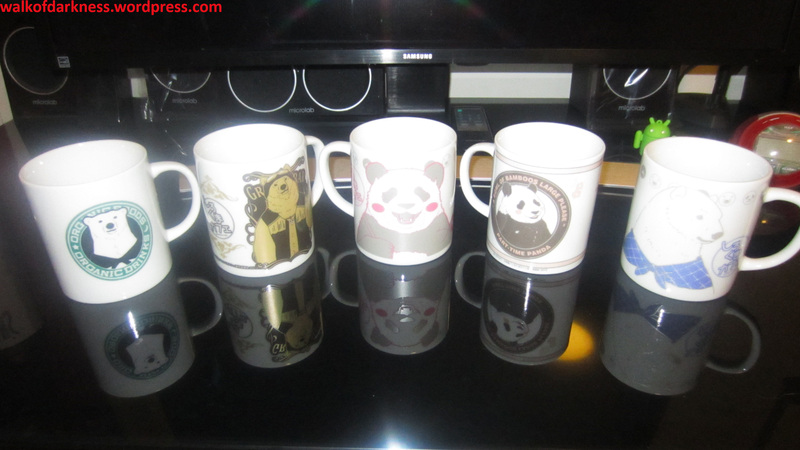 I know there’s a second set which has Panda-Mama and Sloth in it but not really looking to obtain those anytime soon. 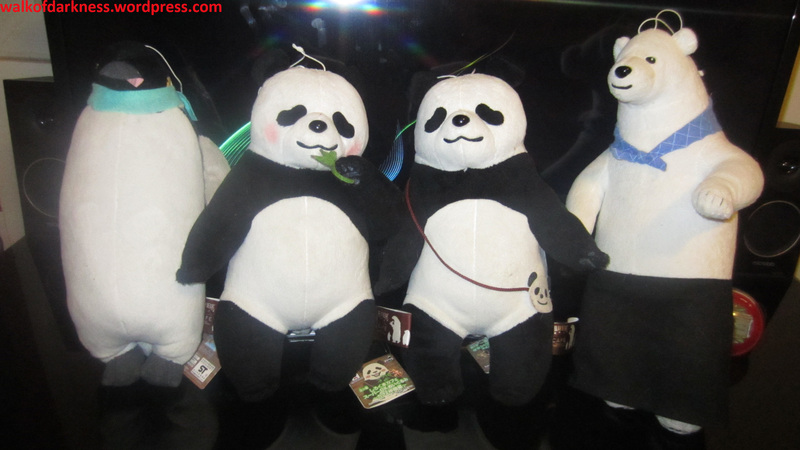 The other Banpresto prizes I’ve got are the first set deluxe plushies of Shirokuma, Penguin and the two variations of Panda. 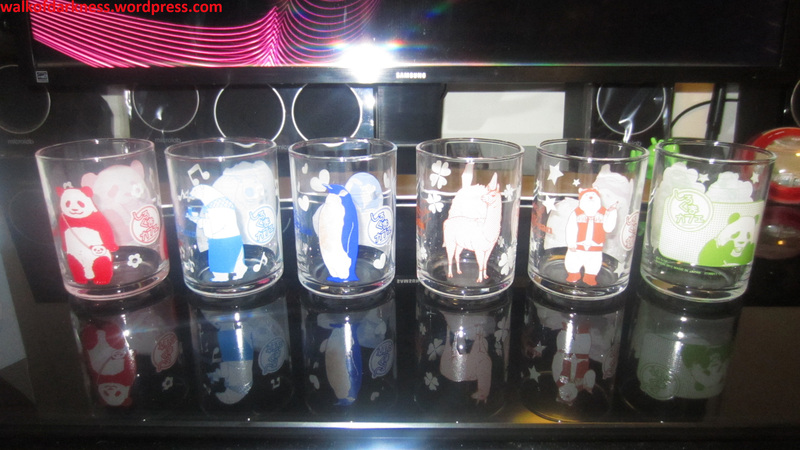 These ones were the UFO catcher prizes that were put in Japanese game arcades back during its promotional run for the anime series. 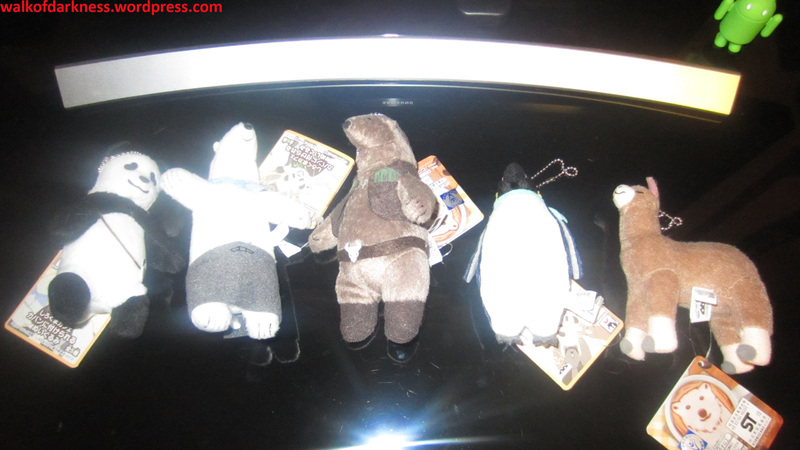 I originally had two of the Penguin plushies but one of them had the scarf detached from the neck, so I got in another one and sold the one with the detached scarf at an anime convention auction. 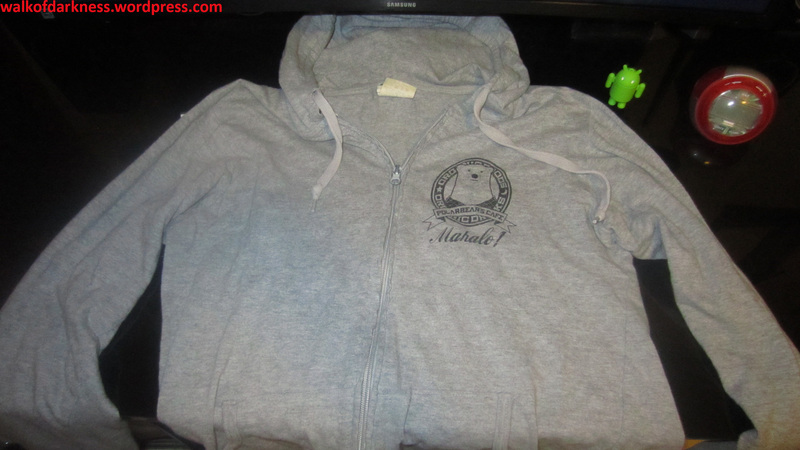 And the very final item in my Shirokuma Cafe collection is a jacket hoodie! 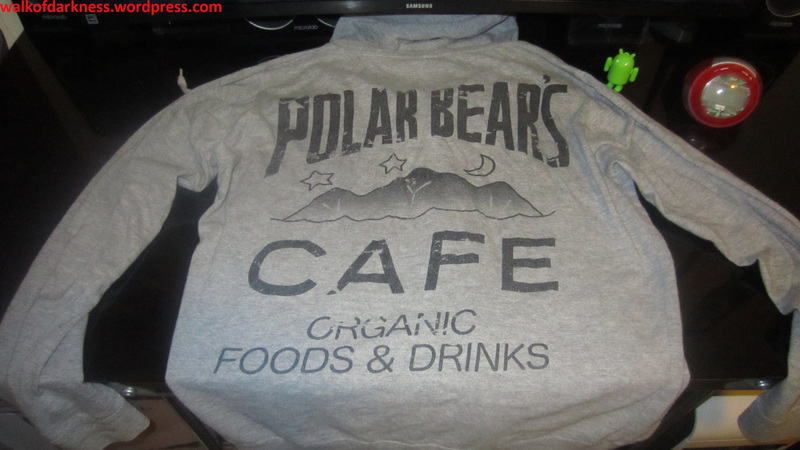 Hi, I was wondering where you bought your shirokuma cafe hoodie? 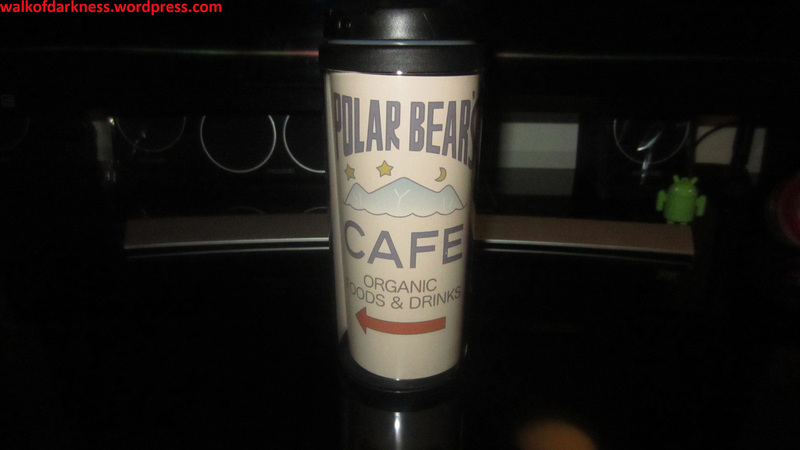 I saw one being sold on amazon from Happy Yohe and was wondering if it was legit or not.